Shannen from the Magic Institute asked in surprise after hearing your report. "Yes, it looked like it was a lizard-like species"
"I never thought the Draconian clan would be involved with the Heartsoul Bead. However if he used mimicry he might have been able to steal the Heartsoul Bead." "What hell of species is the Draconian anyway?" "They are ... ... ...No, it's not. It's still too early to come to conclusions when you are still unsure. I'm sorry but for the moment can you keep quiet about the Draconian involvement ". "That's not a difficult job but ........"
Actually he had no interest in the lizard. "The problem is the Heartsoul Bead." Shannen began to talk with a serious expression. "I was never sure what those who stole the Heartsoul Bead knew about it. But based on your story, they seem to have a purpose for stealing the Heartsoul Bead. If so, I'm afraid the problem is more serious than I thought"
"There are a lot of ways it can be misused." Shannen reached out his sweaty palms and grasped Ark's hands. "Please. You're the only one I can rely on. The Merchant Guild and Warrior Guild have already begun to suspect the situation. We have no way to chase after the Red Man because if caught the Magic Institute's position in society will be damaged. In addition, the protection around the relic has been damaged therefore the situation is unknown." "I never thought about abandoning a task once I have started it. Fortunately, the cartographer gave me a clue to the whereabouts of the Red Man so before it is too late I will find the Heartsoul Bead." The reason for Ark was of course the reward. From Shannen's reaction to the quest he could smell the scent of money. It could be a huge disaster if the situation is prolonged? If you resolve such a problem then it would be extremely profitable. But was that all? Since the beginning of quest, he received a great deal of experience from being in a party. The Devil Rune's Leaf was only one of his rewards! Yes, it was a quest that laid golden eggs! And Shannen did not even realise the reason behind his acceptance. "After Jackson, how could I not believe in you?" After Shannen spoke a new message window popped up. You found further clues to the Heartsoul Bead in the ruins where unidentified robbers were hiding. The mysterious Red Man associated with the thieves seems to have taken the Heartsoul Bead towards Kairote. The key to all the events lies with the Red Man. After collecting more information from him, bring back the Heartsoul Bead. "Anyway, that's the first checkpoint passed. Is that the end of the boring bounty hunting? " It was actually quite profitable that it was a shame to end it. However, he had to give it up to gain even more compensation. Ark left the Magic Institute and put some things in order in Giran. The first place he visited was the garrison. During the period where he destroyed 18 groups of thieves, he did not have time to drop by Giran to receive the bounty money. "I came to receive the prize money." "Do you have the necessary evidence?" Ark continued to pull out tokens from his bag and piled them on the desk. After the 3-4, the NPC officials stared with their mouths open until the 10th token. After he finally pulled out all 18 tokens they stared with amazement. "This is, this is all ........?" "Yes, it's all the tokens. Please confirm it." Ark laughed and smiled at the NPC officials as they said. "It's amazing. It has been less than a month since I put up most of these bounties ........But all these thieves have been destroyed within a month?" "Ah, no. Is there such a thing?" After he checked the tokens against a ledger, the NPC handed him a thick money bag. The bag contained a whopping 254 gold! He had frantically hunted bandit groups without visiting the village for 9 days. Of course, he had to practice hunting for five days before the real hunting so the actual investment time was a fortnight. However, excluding the profit from japtem, a 254 gold bounty was a huge income. In addition, his hunter rank rose to rank C in record time. However there is a limit to hunting bounties alone. Ark could catch a lot of thief companies because other users weren't interested in them. Not surprisingly, the phenomenon was limited to some areas. When a thief company is exterminated and a scheduled time passed then the group would appear again, however the time scheduled for thieves was different from the general monsters. It was a necessary method to balance the game. The eighteen cases were only possible for Ark because a large amount of bandit groups settled around a commercial city and the other players generally avoided hunting thief companies. Indeed, when Ark visited the bulletin board there were only three new bounties. Two of them were ones that Ark had cancelled because he didn't have the token. After Ark collected the bounty, he turned into Giran Square. Sid had also come to the square to organize and sell his japtem. After calculating it in his head, Ark had reserve budget of 1000 gold. "The gold in reserve could be changed into cash in case of an emergency. Now he didn't have to worry about money after more!" After he finished counting, he gloatingly asked Sid. "Now, for the time being I'm stopping bounty hunting. Sid what are you going to do?" "Arc-nim are you going to Kairote?" Sid said with shining eyes. So even after making him work so much, he still doesn't know Ark's true colours? However, Sid had his own reasons. "With me? But that is a dangerous place for a merchant"
"I don't have anything to lose anyway." Sid said with a heart-warming smile. "And I have to go anyway." "Ohuhuhuhu, a windfall. Actually a little while ago I stopped at a store to sell some japtem and I got a quest that was from dedicated professional merchants. The merchant want to study items that are only sold in Kairote. After delivering each special item to the required merchant for research, I would have 150 gold to write off my remaining debt. It seems to be a quest that is only given to merchants with Kairote's location marked on their map." "But you have to be a chaotic user to buy exclusive items from Kairote........?" To enter may cost more than 150 gold. Then Sid grinned and lifted a piece of paper. "It's a draft issued by the merchant. But it can't be used outside of a Kairote store"
That is to say Sid's only intention was to carry stuff. "Items that are usually sold in Kairote are difficult to find in an ordinary village. This was more than a little gold. Until now, any money I made went to paying off my debt but not this time. But if I buy the right item then I might be able to resell it for a greater price." "Well, that's fine if you're sure... ... ..."
"Yes then please bring me there." Sid said while hopping and running. Frankly, Ark also wanted Sid to come along. Silently marching for 20 hours a day was possible thanks to Sid. Also, he had a cool character and signed a contract to give Ark his share of the profit from anything he sold. However, Ark had a crucial reason for liking Sid. As a hobbit, he had access to 6 bags...with the pouch he received from Hanson that was 7 bags available! Sid was just a bag to Ark after all. "Kairote is a lawless city. Snake should have his poisonous skill equipped ready to use at any time. If so, having Sid along would also help. Ayu, my lovely bag." "Okay." If it's Sid then you're always welcome. Sid swung both of his arms as he walked. Therefore he continued to travel together with the hobbit merchant with a bad credit rating.
" This was a deposit, ... ... ... ..! " Hyun-woo looked at his bank account with thrilled eyes. At the end of the Event Quest, he put up the Fire Slayer for auction and the winning bid was just deposited. In fact, the auction was closed for a while. However, the person who deposited the money received an unavoidable computer error leaving him anxious until it was confirmed that the money was now properly deposited. The deposit amount was a whopping 11,160,000 won! The highest bid was 12,000,000 won with 7% going to the auction commission fee. This meant that 840,000 won went to the auction fee but the expense was worth it. Trade between users could be a popular place for a scam. Hyun-woo also fell victim to a fraud a couple of years ago when trying to buy a 100,000 won item. 12,000,000 won item was worth so much more that if he fell victim to a fraud he would vomit blood and die. "Well, I just have to think of it like a tax and in some cases if you use the auction then you can receive a higher price. I got 11,160,000 won anyway. And the Dark Robe I got yesterday sold for 900,000 won so tomorrow I should receive 870,000 won." When combined with the money in his account, he would have around 14,000,000 won. Every day the prices go up even more but it should be enough to pay two or three months' worth of hospital bills without having to worry about money. Hyun-woo gave a heart-warming smile at the bank statement. "Oh, today I have to go to the hospital with uncle Gwon Hwa-rang? " Hyun-woo remembered the phone call he answered this morning. "Speaking of Uncle Gwon Hwa-rang, it's been awhile since I've visited his house. Oh that's right, isn't today the day he normally visits his probation members? Because today was the first day they would meet directly since the lump sum came in ...."
Gwon Hwa-rang had bought a house for the rehabilitation members to live together almost a year ago. Hyun-woo bought food with a few bills in his pocket while grinding his teeth. He paid for three whole chickens and after dinner drinks. The total was 55,000 won. Paying 2000 won for seaweed rolls three times a day was an extravagant amount for Hyun-woo. However, he made an exception for Gwon Hwa-rang and the probation members Spending that much ... .... But it was a crowd so he should not scrimp. Gwon Hwa-rang's place was 30 minutes away by bus. A voice was heard after he pressed the bell. Hyun-Woo used to be a juvenile delinquent and he had a fairly discipline mind and body. However, he became breathless at the sight of the man that appeared. A bear-like man with tattoos from his wrist to his neck. It was like he found himself in front of a boss monster, with a warning message spontaneously appearing in his head. The guy scanned him up and down and said. "What the? You have chicken?" "Aaa........I'm here to see Uncle Gwon Hwa-rang?" "Yes, I'm Hyun-woo. We had an appointment today ...."
He scratched his head roughly as his eyes opened in surprise. "Ah! Man why did you hesitate? It's me, number 1405. Remember?" "Number 1405? Then you are that uncle ..."
"Yes, Yes! I received a lot of help that day. Well, you do look exactly like your game character. I'm sorry, I don't have very keen eyes. Come in." Number 1405 grabbed his arm and just pulled him into the house. When he unconsciously entered the house, his company immediately raised his voice. Not long after, ...........Hyun-woo felt like he had entered a safari park and had been thrown as a toy. His first impression of all the guys that rushed out of a room was that they were tougher than rock. Frankly, Hyun-woo considered the group of thieves cute compared to these guys. 10 similar men gathered and surrounded him! It was such a situation then he sat down with a sweaty back. "Uncle Gwon Hwa-rang says kid, kid.....Looking around where is this kid?" "Gwon had to go out a little bit because of urgent business. He wants you to wait a little bit. It's like that. And when he goes somewhere he doesn't bring a cell phone with him......"
The man with a horrifying knife scar on his face said with a smile. Hyun-woo almost said "I'm sorry I'll buy a cell phone immediately." "I'm number 1401. Kang Yoo-jin. But did you buy us food?" Kang Yoo-jin looked at the chicken set in Hyun-woo's hands. After he answered the chicken turned to bone. "It didn't even take 11 minutes. Scary. Are they going to eat me as well? Did he come for nothing?" Hyun-woo rolled his eyes nervously. The last of the chicken wings was eaten by number 1405, called Ma Chorung who suddenly asked. "By the way, have you gone anywhere with Roco?" "Yes? We only went to a cafe together?" The group burst into laughter at Hyun-woo's answer. "I'm saying you like her." "Ohuhuhu. So of course you would have kissed?" "Aak, Don't say that! I'm just a friend that's it man....uuk!" "Hey, hey! Don't you know saying that is a crime?" The conversation broke down with the guys chattering to each other. Hyun-woo who was listening blankly shook his head. "Well there's nothing between me and Hye-sun. She is just a close younger sibling......"
The guys voices stopped suddenly. They began sending doubtful looks at each other and whispering. Beside him Kang Yoo-jin blew out a sigh and shook his head. "Let's stop it at that. I'm embarrassed for everyone. Anyway....Roco is really serious. It's like comparing trees and stone....."
"Yes? Ah, you mean me?" "No, I have no intention of becoming nosy. Anyway Hyun-woo, no, it is easier to call you Ark. Is that ok? If possible please relax and sit down a little bit more comfortably. This is not a punishment. So why is your form so awkward?" Hyun-woo then realised that he was sitting on his knees. Hyun-Woo coughed and sat down cross-legged as Yoo-jin smiled and said. "Please don't be so anxious. Our appearance might be like beasts, but we're not bad guys"
Ma Chorung interrupted with a single word. "To be frank, we were bad guys." "I'm not arguing that. Um, that is clear." "Then. We don't particularly hate guys like you"
"Yes? Guys like me? " "Yes, so you see ........"
Ma Chorung opened his mouth to talk but was prevented by Kang Yoo-jin who said. "The intention is just like we said. Rather, it was better. In the game, our goals are the same. The new world was more complicated than I thought so if I meet an expert than I'll ask them about New World." "Yes, I'm ok with that." It was a topic that he knew so Hyun-woo nodded. Frankly, Hyun-woo's reaction to the word ex-convict was different from most peoples who would have blinders on. If they are ex-convicts then they are criminals. It was a cruel and cold-hearted way to think but natural for outgoing people. So because of these special people, Hyun-woo ........regarded them with a completely different expression. However, with such a conversation, his original thoughts disappeared. In particular, when he was first introduced to number 1401. Kang Yoo-jin seemed like a hard person thanks to his scar but he was more thoughtful than an ordinary person. The framework is something he disagreed with? He could hear the weight of every behaviour through his voice. The other people were the same as well. Though their outer appearance was tough, when talking about the game their eyes lit up like children. Hyun-woo felt a sense of surprise at the difference between their appearance and behaviour. Hyun-woo used the moment to talk seriously with ordinary people who enjoyed the game just as much as he did. After his mind was eased, the conversation became more fun. The difference between how Hyun-woo played the game and how they just enjoyed it was interesting. Hyun-woo listened to the news about Jackson. "Yes, it was thanks to Gwon. The condition was he would have to go to the Capital and earn enough points in the arena in front of the nobility. Well, we like it. Because fighting against monsters has been getting boring." Hyun-Woo also meant to see the arena someday. But he never thought the Gwon Hwa-rang would get there first. It also seemed that the sentence was passed after Hyun-woo had a word with the young Lord.......The strong point of New World was that the words or conduct of a third party could impact it so much that it affects other users. Their common interest led to a more lively conversation. And Hyun-Woo also joked around and engaged in the conversation. The skills that they learnt were particularly interesting. All the unique skills in their reality profession (including violence) could be acquired in game. Although they promised to follow the rehabilitation program, that program was not enough to seal off their skills. And New World was a game where they could apply those skills. "Huhuhu, although the money was initially low in Harun Village, we used our skills to get things cheaper. Therefore, the "intimidation' skill was acquired. You can use the 'Intimidation' skill at any shop to get items for 10% cheaper! However, it does lower the intimacy with the owners." It was the skill that the person called 1402 favoured as a former bond collector. Then number 1406 who was a former pickpocket scoffed. "Is that something to be proud of? I have the 'Pickpocket' skill where I am able to steal one item from a monster in critical condition. That's better than blackmailing NPCs." "Noisy! Stop talking about the stingy pickpocket skill! Intimidation can also deal with monsters. Do you see how sometimes it flinches? That's because I intimidated it"
"Huhuhu, that's trivial. Intimidation? Pickpocket? You have to live a new life but in the end nothing has changed in that cycle. Look at me. The skill 'Wine Lovers' gives an extra 20 points to intimacy with female NPCs. Love and Peace? This skill is much better"
"Ha, is the fact that you hit your wife also applied to the game? If you're like me, the 'Fraud' is a much better skill because it allows me to sell items for 15% more even though I'm not a merchant." The gentle number 1401, Kang Yoo-jin also spoke up. "Ha, New World really has a lot of interesting skills. Even if you have the same profession, depending on the skills you pick it is possible to raise an entirely different character. It is embodied in the fact that a technique learned in reality is a skill in the game. In reality, some techniques shouldn't transfer over. Some techniques you should feel ashamed about. And again, even if you don't use the technique in the game it is still usable. We assume the other users skills are wonderful as well and envy them. It was one of the reasons people are attracted to New World. And it wasn't possible for Hyun-woo to feel a sense of distance from them anymore. This is why common interests are so important. Hyun-woo suddenly remembered the new Survival Cooking skill he learnt in Giran. It was a special advanced technique that could create a medley of food with special effects. Foods that could increase charm, voice .........when cooking it is impossible to guess what effect the dish would have. But listening to the ex-convicts talk, he thought that the food might be related to certain skill. The dish to increase charm could be used with the 'Wine Lovers' skill and the dish to increase the voice could be used with 'Intimidation' to increase the menace in the voice." Hyun-woo's idea interested the probationary members. "Ara? There are also items that could give effects like that?" "Haven't you looked at the auction?" "The food is stuck because of the expiration date. When it isn't special and the expiration date is short then it is difficult for an auction to sell it. There isn't a special food related category in the auction"
"There's a lot of food with unknown effects, it could increase agility or strength but there are also poisonous foods that could give absurd effects." "Well it would be a lot of help when you are a spectator." "Then I'll make plenty. Fortunately food created with an advanced skill has a longer use by date. By at the moment I have no time to go to the capital thanks to my quest. Is it possible for you to come to Kairote?" "Kairote? That's where you're stuck? I've never heard of it?" "It is very difficult to find the information from other places. It is the lawless city of Kairote." The ex-convicts eyes shined when they heard the lawless city part. "A lawless city? Then it is like the Harlem district? Hooo, I certainly have to go there? " "Ok, before going to the capital we'll try to drop by Kairote." "So let me explain my approximate location." "Huhuhu, it is easy to understand why you're a high level user." "I give my best regards. Ark." A probationary member said with a smirk. After that, Hyun-woo would be different and New World would tremble in time with them. After 1 hour had passed, Gwon Hwa-rang returned. Hyun-woo stood up to go to the hospital although he felt regret. A probationary member went with him outside. "Ark, next time call before you come. We will prepare chicken." Kang Yoo-jin said, patting Hyun-woo's shoulders. "And............If things are difficult then tell us. We might not be the best but we'll stand with you. If there's anything we can do to support each other than we should." Hyun-woo parted from them without any specific ideas. So he took a car to the hospital where he met with Gwon Hwa-rang. "How was the meeting? Did they seem like nice guys?" "Yes, though I was a little bit scared in the beginning ... ......"
"The fact is that I had really wanted you to meet the guys." "Yes? Why? Which reminds me, didn't Ma Chorong also to say that?" Gwon Hwa-rang gave a bittersweet smile and muttered. "Some might have a different view no matter their appearances. Among them he had not wanted to be a criminal. But circumstances were unavoidable and he was forced to live on the streets. And soon was forced to live without a soul and eventually had a criminal record. It is not a good conversation to inquire about the details of their pain." "Of course, now I don't regret it. I think everyone thinks deeply about how their life might have been different. So you have to think about what you're proud of. Your parents ........Hum-hum, in difficult circumstances you have to use your own strength to make sure you don't fall on a bad path." "Is that so? I hope that guy Chorong doesn't hate someone like me in the end." Hyun-woo was ashamed for thinking they were a different race from him, even for a short while. "If they didn't have Uncle Gwon Hwa-rang ..........."
"Anyway. So I can't give up on those guys. Because it is difficult to know how to get out from the wrong bog using your own strength. To be honest, that's why I left today. Many guys would realise it when they look at you struggling to live rightly in a difficult situation. I want to teach that to them through you and New World. Sorry I didn't tell you in advance." Gwon Hwa-rang spoke as cigarette smoke blew from his mouth out the car window. Hyun-woo looked at the side of Gwon Hwa-rang's face for a while. It was the face that Hyun-woo had seen when he first met Gwon Hwa-rang. The mass media portrayed him as a criminal when he used his gun to shoot a violent offender, but he was truly sorry and wanted to help somehow.......It was Gwon Hwa-rang's true power which Hyun-woo respected. "It's okay. I enjoyed it. And I like the older brothers." "By the way ......Is this an operation to introduce me in advance because I might become an adopted son?" Unsteadily, the car shook for a while. But Gwon Hwa-rang pretended ignorance and continued smoking. A secret smile spread on Hyun-woo's mouth as he leaned back in his seat. On that day, Hyun-Woo gained 10 older ex-convict brothers. "Does this also increase the level?" Ark looked at the city's silhouette that was revealed over the ridges. From the side, Sid muttered about his taste. "There, so would it be possible to rest soon?" "Yes, this time I'm going to bath properly." Ark unfolded the map and nodded. Sid collapsed with a thud in that position. They had arrived at Kairote four days after leaving Giran. Indeed, it was four days of continuous, fierce hardship. And the suffering began with Ark's one word. "In order to save time let's go straight to Kairote." Although Hansen the cartographer clearly indicated Kairote's location, the map of the surrounding areas was not clear. Finding the proper way to get there from Giran could be time-consuming. Therefore, Ark decided that the quickest way to get to Kairote was to go in the direction with the shortest distance. The area between Giran and Kairote was a bit unclear. There was a dense jungle where the exit wasn't visible. He didn't expect the high level hunting ground infested with strange monsters over level 100. With the darkness bonus applied at night, he could somehow deal with the monsters but during the day this did not apply. In addition, there were gaping crevasses in places like the valley floor and a swamp that was like a maze, making it easy to get lost. It was a miracle that they had managed to escape the jungle alive. Sid looked at Ark with sunken eyes. "Fortunately, they had found some ruins hidden in the jungle, and raise their intimacy with an NPC from the Migu Migu Clan.....without him, I'd be dead." The situation had become more difficult thanks Ark's character which he stuck fearfully to! The difficult situation meant that Ark didn't sleep for more than 2 hours a day. Thanks to that, even Sid was dragged out. In addition, restless creatures chasing you can also increase tension. Of course the tremendous fatigue and lack of sleep decreased their health until they fell into a critical state. I'd rather be dead, how many times had he thought that? He noticed that when Ark fought in battles, he always protected Sid. Of course, even Sid knew that it wasn't a statement of the friendship. It would be difficult to collect a lot of japtem with 6 bags gone. After that, the two of them who had passed such a hell eventually reached Kairote. Just looking at the distant Kairote caused tears to rise. "You did it, Sid! You did! Great job, Sid! You're cool, Sid!" "Oh, no. Dust just entered my eye......."
Sid wiped his blurry eyes with his sleeves. "Now, let's go. We need to organize our stuff and get some rest." At the end of his words, Sid let out a wide grin and nodded. The two of them soon went up along the ridges. Kairote was located on top of the ridge, just like the city of Machu Picchu shown in a documentary. The size of the silhouette shown in the dim moonlight was roughly the size of the Jackson manor. Growing vine the ground was thick vines that surrounded the city like a wall. Unless displayed on the map, Kairote was difficult to find due to the thick vines making it seem like a forest. Kairote's entrance was guarded by NPCs. Unlike other cities, these guards were dressed like bandits. Ark and Sid gazed at the magical sight of the vines surrounding them as they reached the entrance. The guards frowned darkly and interrupted them. "Yes? Did you just enter the city?" "Bah! Go out! This isn't a place where every youngster can enter!" "Didn't you hear me say leave?" "If you make me say it again, I'm going to show you how to walk away with a bitter taste!" The guard NPCs roughly pushed them together. It was a tense atmosphere. They couldn't cause problems with the NPCs as soon as they reached Kairote. Eventually Ark and Sid left with puzzled faces. "Why are they doing this? The NPC stops users from even entering the town?" Of course, sometimes there are guards that press users at general villages. However, it is applicable only to the chaotic user. As he was thinking, Ark realised that he forgot something. "Ah, this was a city for chaotic users!" "Oh, right. I had heard that only chaotic players could enter Kairote." Sid seemed to have the same thought as he stated in a frustrated voice. "What do we do? We came so far......."
A shallow smile spread on Ark's face. "Huhuhu, I had collected something a while ago and forgot about it......I didn't think it would be used for this. Of course I made sure to collect it even when its purpose was unclear. Because you don't know when or where you'll need it." Snake spat out the red scroll. After Sid checked the scroll his eyes widened and he raised his voice. "I had taken away the scroll from Leo previously." Ark said with a smile. In fact, it was an item that every time his bags ran out of space he thought about selling. However, trying to sell the special item he got after all that hard work was uncomfortable ........what a relief. "Now, where to use it once?" Ark used the scroll to edit his character info. * Resistance Fear, Darkness, Blind, and Seduction spells is increased by 50%. * You can bring out the true abilities from all types of tools. [Lie] scroll, Using this scroll, the player's level and alignment, and one stat can be randomly controlled. However, the level and state must extend beyond 10 up or down. "Level increase by 10, alignment chaotic." Ark's current level had increased to 90 after 3 days in the forest. The Lie scroll adjusted it upwards to level 100. And he became a chaotic player and his name was turned red. With other users walking back and forth, it was difficult to raise his level. It was the reason he deliberately chose night time. "Now there's only one of this scroll"
"I'll enter Kairote and buy lots of scrolls. I'll also gather information if I can. And Sid will lurk where appropriate. Don't be recognized as something else by a chaotic user or you'll be in danger." "Then I'll do that. Please." Ark gave a faint smile. "I'll take out the price of the scroll from the japtem charges." After trusting the wrong person, the Sid who went all the way to Kairote to find a way to live should elicit sympathy, but that was non-existent in Ark. Of course, it was that guy. Sid pasted a strange smile on his face and nodded. "Yes, ha ha! Of course." "Then, I'm going. Be very good at hiding and take care of yourself." Ark looked at Sid like he was a body with 6 bags again. As expected, after he reached the entrance and his name was shown the attitude of the NPCs changed. "Ara? You're the guy from a little while ago?" After scanning up and down, the NPC laughed wildly. "Kukuku, the fragrant smell of blood is emanating from your body. Meanwhile where is your young friend?" "Around. That hobbit, was visibly appetizing....But are you done?" Huhuhu, you're a bad guy who betrayed the guy who accompanied you here. But I much prefer the hypocrisy over the good guy guise. And this place is not a paradise for the faithful. Ok, if you have thrown off the mask of hypocrisy then you are welcome." His intimacy with the guard quickly rose. Ark wanted to use the chance to gain additional information. "Perhaps, did a redheaded man come here?" "A redheaded man? Hmm, let's see? It is a difficult question to answer. This is a place where hundreds of people come in and out in one day. And most would be wearing a hat." "Then has anything strange happened in the last few days......"
"There's no such thing? Well, the lawless city is always a problem, but there wasn't anything that was particularly strange. Although these days the vines that protect the city have withered a little bit, but that's all. Did you want to know something like that?" "Let me know anytime you need help, I'll give it to you." "I'll only give it to you. A foreigner has to protect his life." The NPC guards chuckled and said. Ark ignored them and entered Kairote. He couldn't feel secure in the city. Kairote was a lawless city. There were guard NPCs, but here if a fight broke out between the users then the NPC would not pay attention. They maintain minimal security. The NPC only acts when Kairote is attacked. It is the "crime promotion" area. Of course, if they kept fighting then every chaotic user would be mentally and physically tired. Therefore, to some extent there were tacit rules. But that had nothing to do with the Ark who just stepped into Kairote. Of course ........there was flashing here and there as he walked along a wide road. The chaotic users hiding in the alley here and there used [Insight] to confirm Ark's level. In addition, some users also applied for a party. The purpose of this wasn't to form a party, but was to determine if Ark could be a colleague. "Sheesh, it's a high level." "He's also in a party. If I touch him, it'd be tiring." "A novice should have entered so we could educate them a little bit." Now the users who were gawking from a nearby alley stealthily withdrew. Due to New World's system, it was less likely for chaotic players to be high level. It took a colossal amount of time and money to get rid of the chaotic status, and the loss would be too big if they died. At a low level, gaining a chaotic status to steal had a low risk rate and benefits, but as the level increases that risk would increase exponentially. Because of that, the users in Kairote were mainly level 30-40. They wouldn't dare attack Ark who had become level 100 thanks to the [Lie] scroll. "The first checkpoint has been passed." Ark was finally able to relax and find a shopping centre. In Kairote it wasn't only the outer walls, the exteriors of every building was also enveloped in vines. Thankfully, the buildings were not like other cities and had distorted shapes. In addition, the city was fairly complex and it as difficult to find his way. How far did he walk? Ark had finally discovered a strange place. In the central part of the city, there was a wide gaping hole with a diameter of about 10 meters. A long time ago during the warring States period, the monarch who had ruled for 1 year ordered that the hole be built. At that time, the 1 year ruler swore to fill the hole with the invaders' bodies. It was thus named 'Hell'. But soon afterwards the war ended and the vow was not fulfilled. At the time, there was no documentation about how deep the hole was. However, the deep fury of the 1 year monarch was estimated to reach several hundred meters. If you fall then there is a 100% chance of death. Only does who want to commit suicide are allowed to dive. The history was as bloody as expected, appropriate for a lawless city. "Ah, this is not the time." Ark who was watching the hole with his mouth open, turned his head away. If possible, he wanted to explore Kairote some more so now was not the time. He was also worried about Sid waiting outside and the [Lie] scroll also had a time limit. His top priority was to quickly locate a shopping centre. Ark had been running down a back alley to quickly look for a shopping centre. However moments before stepping foot in a mall, he realised that there was something wrong. "This, this .........Which reminds me, isn't it night-time?" Even the mistake was tight. Ark had chosen night time to enter Kairote because he received the dark attribute bonus. But he hadn't considered the original purpose. In New World, NPCs also close their shops during the evening to sleep. And now, of course, all the stores were closed because it was night. "Damn! In New World, it was now dawn which arrives at 5am. The stores open at 8 a.m. so he has to wait 3 more hours?" The duration of his scroll was limited. Would the duration end before the store's doors open? It's obvious that he would get attacked by NPC guards if they saw him. But was that all? When a guard NPC shows up, other chaotic users would also enter! If he uses 'Hiding' then it is possible to escape but without the scroll he won't be able to buy items from the store, and he also wouldn't be able to collect information about the red man. "In the end, I came here only to end up sucking fingers." Of course, he could become chaotic but he wanted to avoid that as much as possible. Once you become chaotic then the alignment and fame is reduced by 30%. But it doesn't stop there? At level 90, to lose the chaotic status he must surrender to the guards and be locked up in prison for 9 days in real time and a fine of 90 gold. It was certainly a reckless penalty! "No! There must be another way?" Ark desperately ran around the shopping centres. That's when he found his light of salvation in the form of a store. A dim light shone from a small grocery store nestled in a small alley. The doors were closed but it was possible that the NPC was still inside? 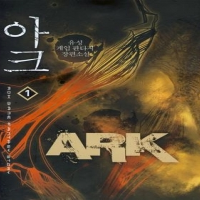 Tapping at the door, Ark jumped up and shouted. "At this time, what kind of child are you?" "Oh, I'm fortunate that you're here. I have to buy some stuff." "We're closed. Because it's troublesome, go away!" "There is an urgent situation. Please open the door as a small favour!" "I told you I won't trade!" However, Ark believed this store was his open option. He did not stop knocking until the door eventually flew open and a furious man's face emerged. "Leave me alone! You don't have to go crazy just before daylight!" "I'm really sorry. I told you it was a really urgent matter. Please give me a moment to buy a few things. It will only take a short time. Please." Ark lowered his head and begged and the man's face slightly softened. He scratched his head and blew out a sigh before shaking his head. "Look I don't like to say no to someone desperate. Of course, I would like to engage in the business of a businessman too. But this matter is also not about you. I also can't afford your patronage. Even though I want to I can't." "Yes? Can't afford to patronize? What does that mean?" "Come on, get inside the store. Because of this, do you understand?" The shop owner indicated with an irritated expression. The inside of the store was a mess. The shelves and miscellaneous items were smashed and the walls and floors had broken items all over the place. Just looking at the situation, he could tell that there was a serious problem. "What?" What did you say?" "I asked if you needed any help"
Ark who was used to being friendly with NPCs automatically answered. If someone is good, then they may receive thanks. Because there was never any loss, the system had become ingrained as a habit. Then the shop owner looked at him with a befuddled look. "Why would you do that? Was it a mistake...?" The shop owner was surprised as he shook his head. "It's because I haven't heard those words in so long. Also you're a foreigner? The foreigners who often shop here don't bother with anyone else's' problems. Of course, most of the murders are committed by criminals....."
"Oh, which reminds me of something in Kairote?" Chaotic players don't bother building intimacy with quest NPCs. That was not the main concern of chaotic players. Their main concern and interest is how many users they can PK and gain items before losing the chaotic status. Therefore, none of them would have had any interest in the NPC's circumstances. Ark immediately grasped the situation and answered. "It is difficult to tell the difference in this place, but I am not like them. Also I have never done anything that I was ashamed about. It was because of circumstances that couldn't be avoided that a crime was committed. And after my business here ends then I will surrender and be judged in a legitimate court of law." Ark was heartfelt (?) Needless to say, the shop owner nodded. "No, I understand. There would often be such a friend." "Now would it be okay to explain the situation to me? I was thinking that solving other peoples' difficulties was my fate. I have the body of a criminal now but isn't it possible to see past that just this once." The shop owner was worried about something and talked seriously. "Just by looking you can understand, but a thief entered the store last night." "Yes, in fact, this is not the first time. Surprisingly, just this shop has been visited at least three times in the last fortnight. Replacing the lock was ineffective. They don't steal anything but I would rather they did. Every time they visit they would destroy the shop. Now I'm tired of it. Until now, I've somehow tried to hold on but ........Now I've already given up. Anyway ........No, I know how to clean up the store and leave this place." "Aren't there any guards here? Didn't you tell them?" Ark tilted his head to one side. Users don't involve guard NPCs with their problems, but the shop owner was a NPC. The NPC didn't try to engage their help? If they have no restraint, then it is possible for chaotic users to do those kinds of things when dealing with the store. "That, ..........Hung, it was a whole bunch of nonsense. This is my problem I don't need other people's help. All right, now anyway? Because I can't engage in business, please forget it and leave." The shop owner suddenly changed. And stepped closer to Ark and looked suspiciously into Ark's eyes. "This, unbelievable! The scent of blood has disappeared from your body? Then surely the [Lie] .....!" The duration of the scroll had finished because he was delayed running around Kairote. And in front of an NPC. In Kairote, even the NPC was chaotic. It was similar to thieves in Giran being tired of the hunt. If the shop owner let the NPC guard know then he was screwed. However, you also can't kill the NPC. If he became wanted as a NPC killer in Kairote then he would have to give up the quest from the Magic Institute. Ark was embarrassed and tried to diffuse the situation somehow. Suddenly, the shop owner grabbed Ark's arm. He closed the door and observed outside from a small side door. After confirming that there was no one around, the shop owner blew out a sigh of relief. "That was close. I was wondering if someone had noticed ..."
"Accuse? Huhuhu, great. What is good about deliberately plotting against you? In addition, you must have a reason to use a scroll to come here." The shop owner looked at Ark as he decided something and opened his mouth. "It is difficult to say, but perhaps you'll give me some help?" "Of course I would like to help. But just before....."
"It's a matter that I didn't want to ask of a criminal. But if you're not a criminal then the circumstances are different. And if you managed to visit here through your own power then you must have considerable skills, enough that I might be able to give you a favour." A NPC quest! The quest was one that could only be given if a non-chaotic player came to Kairote. It was a development that couldn't be imagined. "As a matter of fact. I know the criminal who entered the store. If you exit the town and climb the south hill there is an unemployed bum called Lorenzo who lives at the cabin." "If you punish him severely and recover the stolen goods, then you'll be properly compensated. That's it for now....but I'll tell you what? If you recover any items, then I'll offer a 40% discount on the price. Anyway, I am going to put everything in order as I leave so I should probably reduce the baggage. How is it?" In Ark's eyes gold powder fell. He didn't know how much stuff had been stolen, but since it had been stolen five times then it wouldn't be a small amount. Of course if he sold the items he received with a 40% discount at another city then he could get considerable profit. Sid had also come to Kairote with that purpose. "Are there any other gangs?" "No, as far as I know he lives by himself." "Good! But before that ...You see that I urgently need the [Lie] scroll. Is it possible to save me in regards to that?" "Don't worry. I always have a few [Lie] scrolls." The shop owner pulled out three protruded scrolls. "Thank you. So I will immediately go and recover your things." At that time, the shop owner hurriedly grabbed Ark's hands. "Don't misunderstand. I'd love to punish him a little. But nothing beyond that." "No, I mean ... ... ...Anyway the thing is stealing is scandalous but it did not harm me directly. If he dies due to somebody I sent then how can I calm down? I just want my things returned. So just keep that in mind. Under no circumstances should you kill him. Understood? If you do not keep the promise I won't forgive you." Although he didn't understand the shop owner's attitude, Ark nodded. As soon as he did, the quest window popped up. You have met the shop owner Wolkosu in Kairote. He has angrily continued to put up with a thief who ruined his store for a fortnight. Unlike the other foreigners in Kairote, he has asked just you to solve this case. You have to punish the thief and recover the goods.